View current listings for real estate in Torrance, or read more about the city of Torrance. Torrance is bordered by the Pacific Ocean on the west and Lomita, Rolling Hills Estates and Palos Verdes Estates to the South. The city offers 46 parks, six libraries and a little-known state beach. Treasures such as the Madrona Marsh, a nature preserve, abound. Most of the city's 56,000 residents want to buy Torrance real estate. Eighty percent of city residents own their homes. Torrance, once a part of the 1784 Rancho San Pedro Spanish land grant, was purchased by real estate developer Jared Sidney Torrance and other investors in the early 1900s. They planned a mixed industrial-residential community south of Los Angeles. Gramercy and Andreo, the first residential avenues, Old Town Torrance, a designated historical district. Torrance is the birthplace of American Youth Soccer Organization (AYSO). Owners of Torrance homes are fortunate to have a large menu of recreation options. Scheduled events also make Torrance real estate listings worthy reading. For example, the Armed Forces Day Parade in Torrance, initiated in 1960, is the longest running military parade sponsored by a city. It is held annually on Armed Forces Day and runs down Torrance Boulevard. Torrance property also includes the Del Amo Fashion Center, a 2.5 million square foot mall including upscale clothiers such as Antropologie and Urban Outfitters as well as restaurants such as P.F. Chang’s. Torrance also borders the South Bay Galleria, which resides in Redondo Beach. Wilson Park is an expansive tract featuring tennis courts, batting cages, rolling hockey rink, a playground and on Tuesday and Saturdays, a farmer’s market. Dozens of people stream by on a weekend day, generating an overall community warmth. 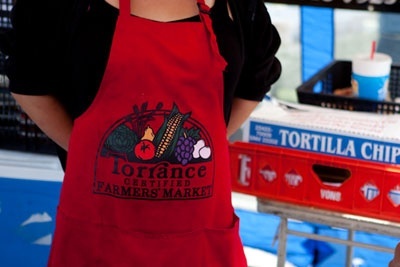 Every Tuesday and Saturday from 8am-1pm the city hosts a Torrance Farmers Market in the parking lot for Charles H. Wilson Park on Crenshaw Blvd. At the market shoppers can find a variety of top quality produce brought in each week direct from 60 different in state farms. The market features a year-round selection of locally harvested fruits, nuts, vegetables, eggs, honey, baked goods, fish, cut flowers and nursery stock. There is also a free produce raffle every Tuesday at 12:00 noon. The Torrance Unified School District includes City of Torrance, Redondo Beach, Gardena and Carson. Many of the city’s schools score high on the 2009 Academic Performance Index. Of a possible 1,000 points, Riviera Elementary School scored 915 and Victor Elementary School scored 905. West High School scored 853 and Calle Mayor Middle School scored 892. For more information about Torrance Real Estate, please contact our office at 323 412-9060(Los Angeles).